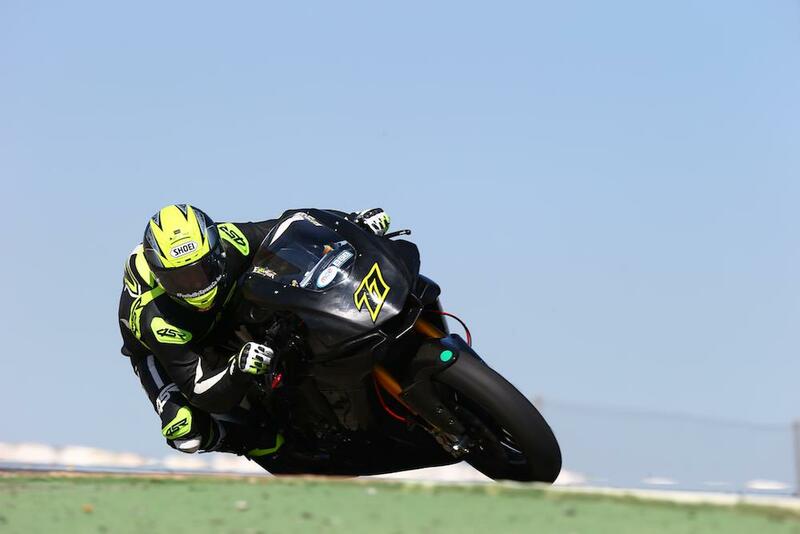 The first major test of the 2017 MCE British Superbike season got underway at Cartagena today with many teams enjoying their first runs out in Spanish sunshine. While there is no official timing at the tests, from the few day one lap times made available by the teams, James Ellison is reportedly quickest as he makes his debut with the new McAMS Yamaha team. Ellison completed numerous runs aboard the YZF-R1 Superbike which was only completed at the team’s workshops last week and is still awaiting a fuel tank and swinging arm set to arrive from the factory later this week. He clocked an unofficial time of 1’33.2, just 0.1secs off Luke Mossey’s fastest time from last year’s test. Mossey was second quickest with a 1’33.4, while Ellison’s McAMS Yamaha team-mate Michael Laverty placed third with a 1’33.6, just ahead of 2016 runner-up Leon Haslam. John Hopkins enjoyed a strong return to the MotoRapido Ducati team to lap within the 1’34 bracket, while most other riders kept their times to themselves as they familiarised themselves with their new machines. Italian Davide Giugliano made his debut for the Tyco BMW team, which marked the first time he'd ridden the BMW S1000RR in BSB trim without electronics. He commented on how he enjoyed riding the machine and it's believed he broke into the 1'35 barrier by the end of the day. Taylor Mackenzie took his first ride on the Bennetts Suzuki GSX-R1000, which was in relatively standard trim for the opening day. His team-mate Sylvain Guintoli is absent from the test for personal reasons. Bradley Ray was in action for the team's sister outfit Buildbase Suzuki, while Richard Cooper and Alex Olssen were out on the stock bikes. Isle of Man TT man Michael Dunlop spent most of his day testing the GSX-R1000 Superbike but also put in one stint to shakedown his Superstock machine. Three riders took trips into the gravel on the opening day, starting with Riders BMW’s Martin Jessopp. He was followed by Christian Iddon who fell at turn three on the Tyco BMW, while second-placed man Luke Mossey had small off towards the end of the day when he ran on after a false neutral at the hairpin.